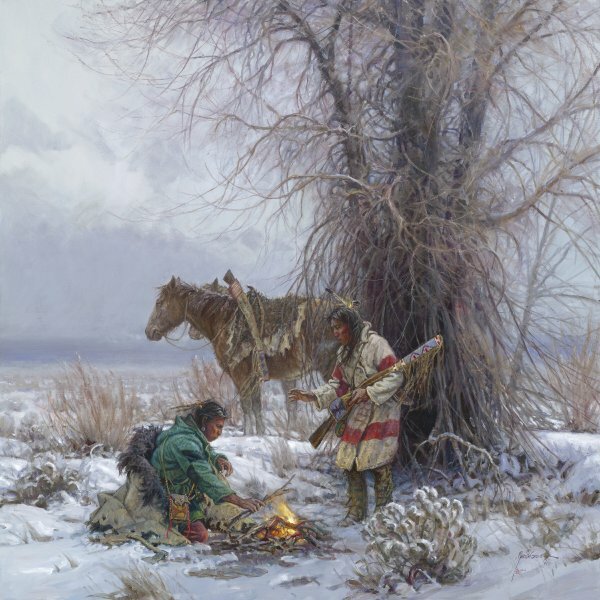 "Warming Fire" was painted by Martin Grelle in 2006 and appeared in the Prix de West Invitational in that year. It is unusual in that the landscape is more subtle than in many of Grelle's pieces. The cold, crisp atmosphere is readily apparent, while sunlight, so often featured in his work, is totally lacking. The fire is truly the only warming influence in the composition.